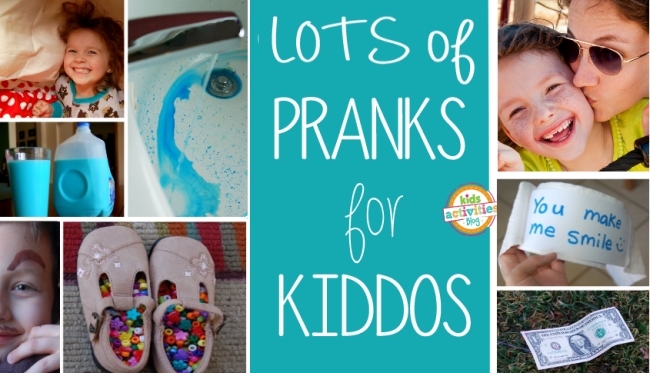 After our round of Pranks for Kids and our list of Best April Fools Day Pranks, we got lots of suggestions of fun pranks to pull on kids from you, our readers! 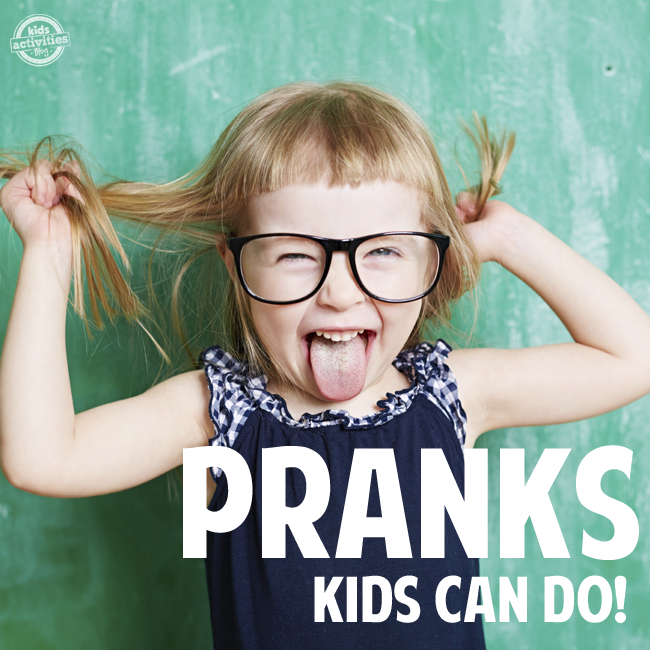 Thanks for sending us some of your kids best pranks. 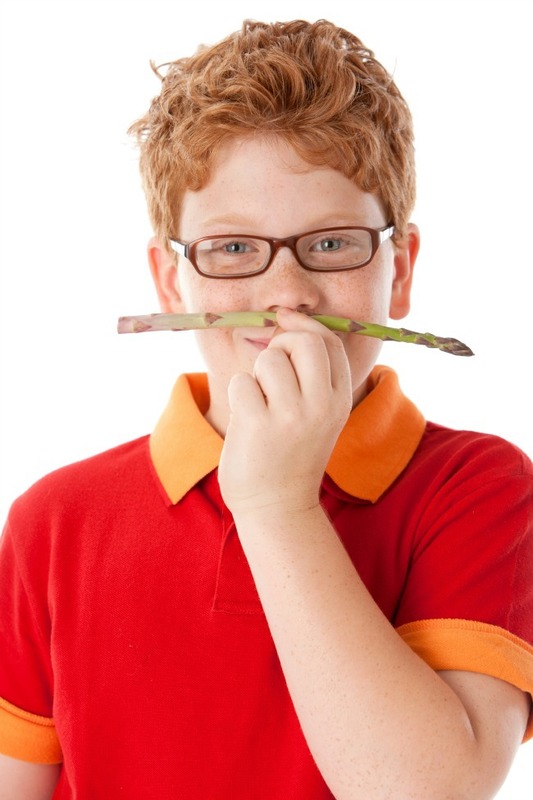 Here at Kids Activities Blog, we like our fun silly. 1. Tape the light switch so they can’t flip it. For younger kids, used colored tape. For older kids clear molded to the shape of the switch is best. Make them wonder why the light is not moving! 2. Decorate a sponge as a piece of cake, coat it with icing and let it sit out on the counter. See if they can resist taking a bite. 4. 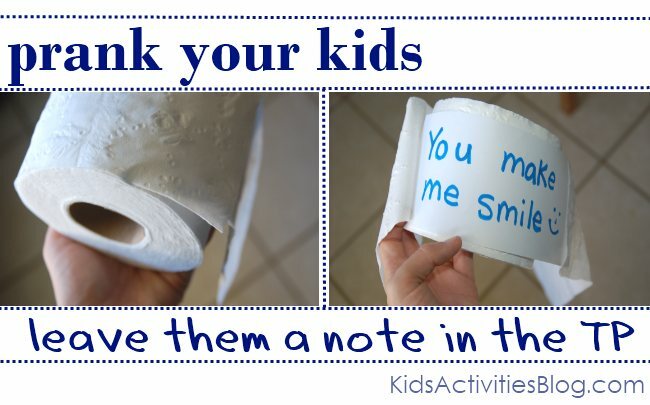 Have a note appear in the toilet paper, as they pull on the roll, the message pulls out at them. You need tape, toilet paper, and a unknowing participant. 6. Make meatloaf cupcake muffins – they will look like cupcakes, make the kids think they have a really “special” dinner. 8. Short sheet their beds. My grandmother did this once to me growing up. I climbed into bed and only had a foot or two of sheets. I had to re-make my bed laughing the entire time! If only my kids made their beds I could do this one on them. 11. Another reader’s sneaky brother (uncle to the kids) “would hide in the closet with a mask on then call the home phone with his cell phone and ask the kids to go in and get something out of the closet then when they would come in he would jump out at them.” Uncles are the best big kids!! 13. Our last suggestion is one of my favorites…pick a ridiculous argument. Choose a silly side of an argument and start arguing with your child. I usually start with something like, “Stop begging! No matter how hard you fight, I just won’t allow you to go to school.” It catches them off-guard and then they start automatically arguing the other side. No matter what they say, keep misquoting them and pushing your silly argument. This often works well for bedtime battles because eventually they are just worn out by the ridiculousness. Cute post! 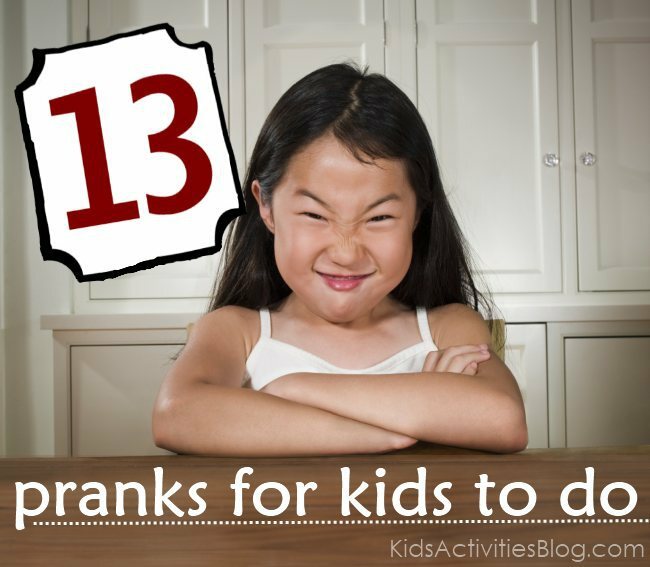 A fun companion to the pranks kids can play. My poem today is based on a trick we played on my Dad almost 50 years ago. toopid! April Fools! It is awesome! It’s amazing to pay a visit this web page and reading the views of all mates on the topic of this piece of writing, while I am also keen of getting experience. Turn off all the lights secretly. See how long they can take it!!! I put clear wrap that u put on leftovers all over the carpet in there bedrooms watch your kids slip and slide on the wrap! look weirdos i’m sick of stupid pranks it’s April fools day and no good pranks wake up for gods sake.